Halloween is the special time of year when the shades of the dead whisper from forgotten places and spirits walk among us. The Witches of Salem honor this time with Festival of the Dead, an annual event series that explores death’s macabre customs, heretical histories, and strange rituals. Presented by Salem Warlocks Christian Day and Brian Cain hosted by the foremost authorities on the spirit world, Festival of the Dead beckons guests to step through the veil into a realm where spirits await. 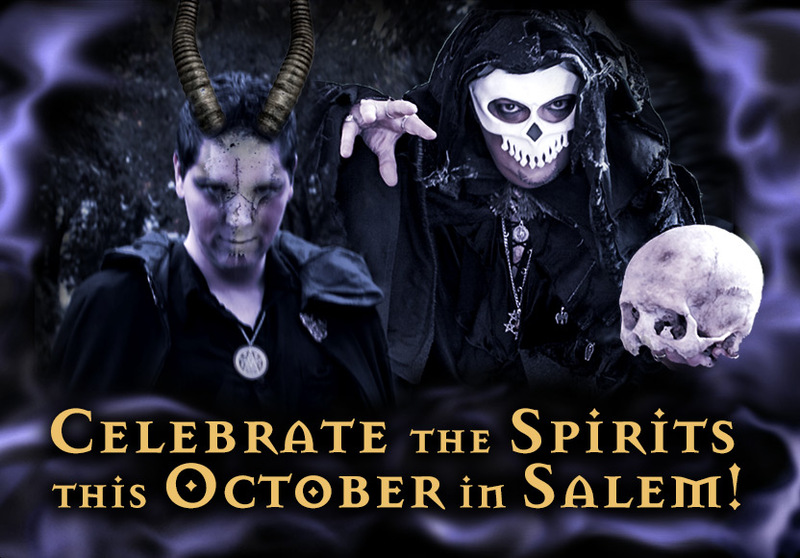 Join the Witches of Salem and revelers from around the globe for The Official Salem Witches‘ Halloween Ball, Salem's most magical Halloween event! Celebrate the afterlife with food, dancing, ritual, live music, free psychic readings, and prizes where the dead cavort with the living and powerful spells are cast for the Witches’ new year! Defying the boundaries of religion, culture, and continent, death captivates our imaginations and ensnares our minds, beckoning us to journey to destinations beyond the tattered shroud of mortality. Check out hotels, bed and breakfasts, and inns at Salem.org! Are you a Psychic and Want to Read in Salem for October? Festival of the Dead is looking for psychics for the Psychic Fair! Want to Vend Your Wares in Salem? Festival of the Dead offers vending spots at the Psychic Fair!